Forget the hype over universal USB-C charging. This year the new hot topic might finally be wireless charging of your laptop. That’s what I’m thinking after seeing demos of laptops being charged using WiTricity’s wireless charging technology. Rather than the typical inductive charging technology that’s been a fizzle on smartphones, WiTricity thinks it has the edge with its magnetic resonance technology that lets it beam more power farther using magnetic fields. Inductive charging, typically seen in electric toothbrushes, has a key weakness in its inability to beam through metal or dense materials; it also requires very short distances. WiTricity’s use of tightly coupled magnetic fields to transmit power through stone, metal, or even your head—and with far higher output—makes it better suited for laptops, which draw far more power than smartphones. 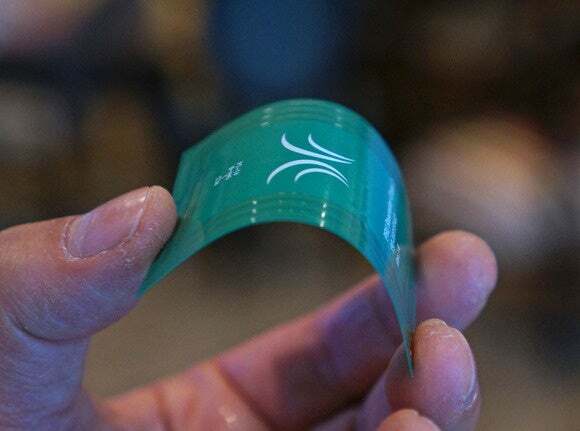 WiTricity’s charging coil for wireless charging is incredibly thin and flexible. 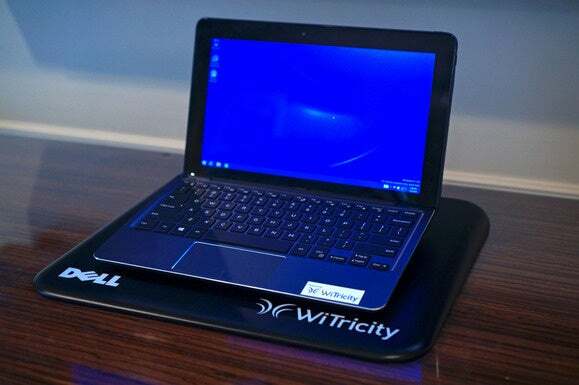 In a demonstration of the technology, WiTricity modified two off-the-shelf laptops to charge wirelessly by plopping them onto charging pads. In my hands-on, the laptops worked as expected and charged at rates up to 30 watts. WiTricity didn’t announce which PC OEMs were adopting the tech but said several companies had climbed aboard with actual laptops shipping this year. If I had to guess, I’d say Dell is aboard, as its corporate logo was featured prominently on the prototype charging pad. WiTricity points out that an advantage its tech has over the inductive charging used by smartphones is a much larger landing zone. With inductive charging you typically have to line up the device and charger just right to get it to work. With the WiTricity demo, it was better—but not perfect. At this stage though, it’s mostly a limitation of the charging pads in use, but the company says there’s really no limit to how large the surface could be. You can imagine a future where your entire desk is a charging pad and the only effort required to charge your laptop, phone, eReader, and smartwatch is to put them down.